On July 29, 2016, USCIS announced the expansion of the existing provisional waiver process that allows certain family members of U.S. citizens and lawful permanent residents (LPRs) to apply for provisional waivers of the unlawful presence ground of inadmissibility. This expanded rule went into effect on August 29, 2016. In March 2013, USCIS began accepting applications for provisional waivers of the unlawful presence ground of inadmissibility, from immediate relatives of U.S. citizens who are already present in the U.S., based on the extreme hardship the U.S. citizen spouses or parents will go through if the waivers were denied. Certain classes of “immediate relatives” of U.S. citizens – spouses, children and parents – already present in the United States, are prohibited by law from adjusting status or becoming legal permanent residents, if they (1) entered the United States illegally without inspection or admission by the Customs and Border Protection; or (2) entered on a K-Visa (fiancé visa) (including children of fiancé/es) but did not marry their U.S. citizen fiancé/e petitioners; or (3) entered as crewmen. For these undocumented immigrants, they should leave the United States and consular process – get their legal immigrant visas at the U.S. Embassies in their native countries. But, once these undocumented immigrants leave the United States, they are barred from entering to the United States for either 3 or 10 years, due to their unlawful presence for more than 180 days or more than one (1) year, respectively. Thus, these groups of undocumented immigrants are forced to endure several years of separation from their U.S. citizen spouses, children or parents while they wait out the 3/10-year bars before re-applying for their legal immigrant visas; and/or while processing their waivers of inadmissibility (I-601) after the U.S. Embassies confirm they are inadmissible. The 2013 provisional unlawful presence waiver was aimed at providing relief to U.S. citizen spouses and parents who go through years of separation from their immediate relatives who are barred from entering the U.S. and cannot secure legal immigrant visas. Immediate relatives who belong to any of the above groups should file and secure approval of their provisional unlawful presence waivers prior to leaving the United States for consular processing at U.S. Embassies in their native countries. The waivers are called provisional since they only take effect after the applicants’ leaves the United States, attend their immigrant visa interviews; and a U.S. Embassy immigration officer comes to a conclusion that there are no other grounds of inadmissibility. With the approved provisional waivers, successful applicants are able to get immigrant visas and come back to the United States without having to wait for 3 or 10 years. The previous rule was limited to the “Immediate Relatives” of U.S. citizens (who must be at least 21 years old), namely: (1) Spouses; (2) Parents; and (3) Unmarried children under 21 years of age. Also allowed were specific classes of individuals like (4) certain Surviving spouses and Children of U. S. citizens; (5) Self-petitioners; (6) Aliens entitled to conditional permanent resident status based on marriage of less than two years to a U.S. citizen. These immediate relatives must have approved Form I-130 Petition for Alien Relative, or an approved Form I-360 Petition for Amerasian, Widow (er), or Special Immigrant; and should have already paid the immigrant visa application fee to the National visa Center (NVC). From August 29, 2016, any undocumented immigrant eligible to file an unlawful presence waiver under Immigration and Nationality Act Sec. 212(A)(9)(B)(v) can now apply if they have approved family-based or employment-based immigrant petitions; or special immigrant petitions; or if they are beneficiaries of the diversity visa lottery. And, permanent resident spouses or parents are now included as qualifying relatives for purposes of proving extreme hardship. Provisional waiver applicants should have an approved immigrant petition with priority dates that are current; and should have paid the immigrant visa application fee to the National visa Center (NVC). I am eligible, what should I do now? If you have an approved immigrant petition and your priority dates are current, contact our office today at (323) 803 7147 to get started with your 601-a petition. 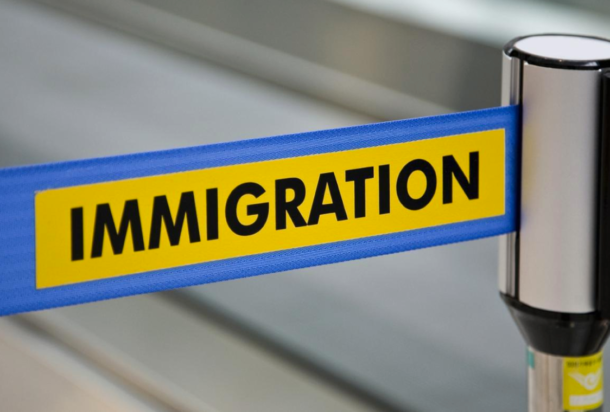 We have very extensive experience in immigration waivers and help families and individuals on a regular basis to live and work legally in the United States. If you do not qualify for unlawful presence waiver, check out our asylum services. Subscribe to our Immigration Newsletter.